Looking For Glass & Mirror Shops? Custom shower doors and mirrors From custom glass enclosures to wall mirrors and vanities, transform your bathroom into something you will love. Contact us today for a free estimate! We can custom design glass table tops, countertops, railings, or shelving for your home or business. Creative and unique designs limited only to your imagination. Impress your customers with a stunning new storefront. Broken window? We offer 24-hour emergency services. Get rid of that ugly shower curtain and install a custom glass shower door. Give your bathroom a new look and make it easier to clean. We design and install shower doors of all types, including framed and frameless glass doors. With close to 19 years of experience, we can help you choose the option that will best match your desired style. Whether you are designing a new bathroom or need to replace some broken glass, we can help with any project, large or small. We also install beautiful and long-lasting shower doors and enclosures for hotels, apartment complexes, gyms, and more. 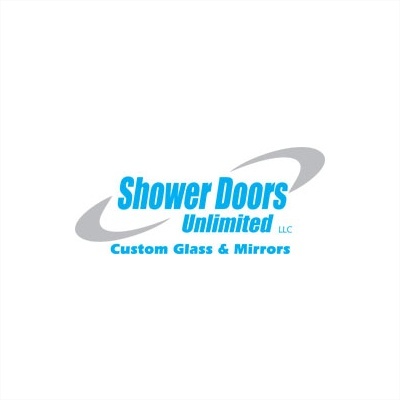 If you are starting new construction or need to update your facilities, call Shower Doors Unlimited LLC If you are thinking about replacing the windows in your home, there's no reason to wait. The benefits start as soon as they're installed. Revitalize your home's exterior and increase its value. Save money by installing energy-efficient windows. You might not even realize how fogged your current windows are until you see the brilliant sun shining in through your new windows, or how beautiful your home can be. Replacing the windows in your home is one of the best returns on your investment when it comes to home improvements. You can save anywhere from 7% to 24% or more if you are upgrading from a single pane to a double pane window.